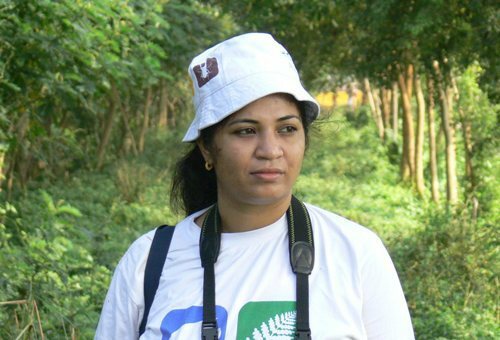 Noted wildlife activist Assam’s Purnima Devi Barman has been selected for the Yamin Hazarika Woman of Substance Award-2018. She has been chosen for her contribution to the conservation of the greater adjutant stork or hargila. Barman has been working at Dadara, Pachariya and Singimari villages in Kamrup district to save the endangered hargila for years. Her conservation exploits have been recognized globally. The award commemorating the life of iconic police officer from Assam, late Yamin Hazarika, honours women who have done notable work in different fields, and contributed to the larger good of society and inspired young girls. The fourth-edition of the award, will be presented at a function on August 11 at Maria’s Public School, Birkuchi here. A panel discussion on ‘Is social media dividing society rather than uniting it?’ will also be held on the occasion. The late Yamin Hazarika was born in Guwahati to Sirajul Hussain Hazarika and Shameem Hazarika. She was a 1977-batch DANIPS (NCT of Delhi, Andaman & Nicobar Islands, Lakshadweep, Daman & Diu and Dadra & Nagar Haveli Police Service) officer, reports The Assam Tribune. She was a recipient of Nirman and Mahila Shiromani awards. As Deputy Commissioner of Police (Crime against Women), Delhi Police, she was known for her impeccable track record in the force, including a three-month stint in Bosnia. She died on July 24, 1999 at the young age of 43.